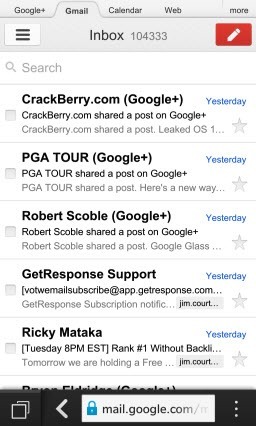 BlackBerry 10: Mobile Websites Proxy Mobile Apps. 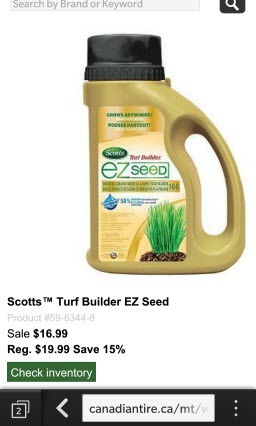 Or, how I saved 35% on patch grass seed using my BlackBerry web browser. Previously I have followed the theme of “Did i say it was fast?” when covering the BlackBerry 10 mobile computing platform. Yesterday this “speed” allowed me to save 35% on a commercial product because the fast HTML5-compliant browser serves as an excellent proxy for an application for some categories of websites. One of the challenges for BlackBerry has been to build a BlackBerry 10 application store that brings to BlackBerry the choice that is seen on competitive smartphone application ecosystems. Given BlackBerry only started just over a year ago to build out BlackBerry World with BlackBerry 10 applications, coming up with over 120,000 apps in fourteen months has been no easy feat. In his interview last Friday on the weekly VoIP Users Conference podcast, Alec Saunders explained some of the innovative programs BlackBerry’s developer relations team invoked to achieve this record level of adoption within such a short time frame. However, we still await BlackBerry apps for many other well known applications. 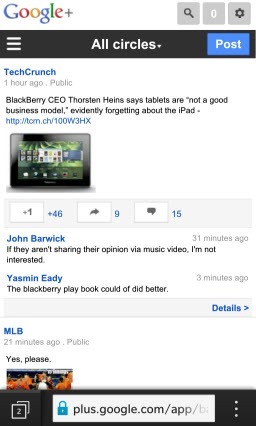 Yet BlackBerry’s support of HTML5 in the BlackBerry 10 web browser and the rise of mobile-enabled websites, using techniques such as responsive design, serve as a proxy for many of these missing apps. Simply go to a mobile-enabled website and it’s formatted in a manner that makes for easy viewing and navigation on a mobile screen size. 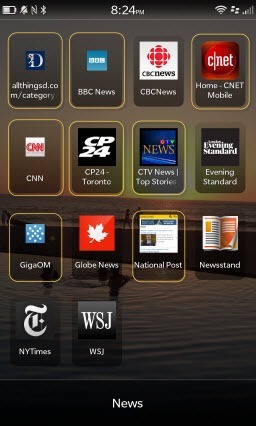 These sites can then be added to the BlackBerry Home Screen for easy future access. The most poignant example has to be some of Google’s offerings. 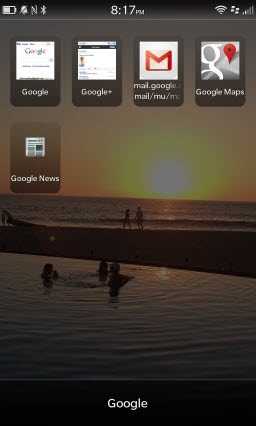 As seen below I have built a Google Home Screen folder that includes GMail, Google+, Google Search, Google News and Google Maps. In the cases of Google Maps it even interacts with the BlackBerry 10’s GPS sensor. I could also do the same for Google Docs, Apps and Blogs but these are not applications that I use in the normal course of my activities. 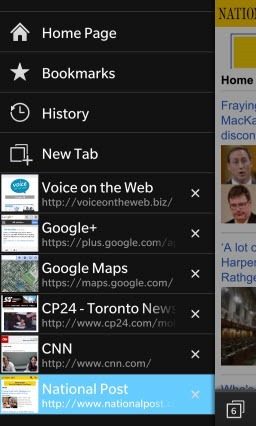 The BlackBerry 10 comes with a YouTube icon pre-installed on the Home Screen; again it uses the browser. I’ve watched a lot of YouTube video on my device. 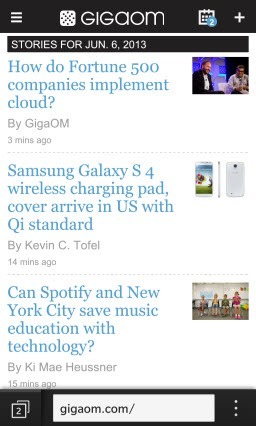 News and Sports are two more categories where a mobile website serves as an excellent proxy for a mobile app. 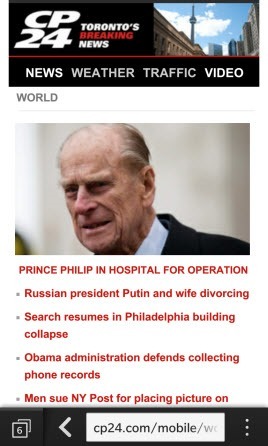 Below is my News Home Screen Folder, where those that access a mobile website are encircled, along with a couple of site examples. Those without an enclosure are actual apps. Yes, a mobile website may miss a few features of a native app; however, they do deliver the content that is really the primary goal for visiting these sites. And at this point in time accessing a mobile website is not a substitute for many apps, especially games. But it does achieve my goal of catching up on the news at these sites without waiting for an application to become available. 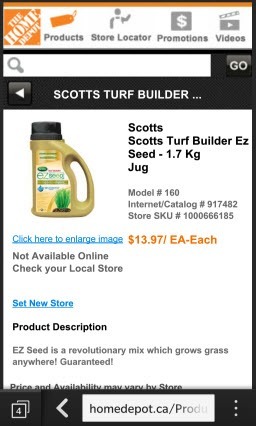 However, having a mobile website came in very handy for a couple of retailers yesterday morning when our gardener mentioned I should get a new Scott’s product for filling in the holes in our lawn. Just as importantly he also mentioned he had found it on sale. I was on my way out anyway and started my trip by going to the local franchise of a hardware chain. 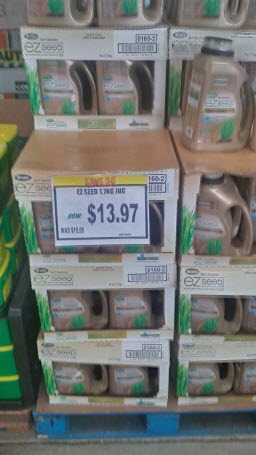 Found the product but not at any discounted price. So I searched for the product via the BlackBerry browser and ended up on the Canadian Tire site where it was about 25% lower in price. But the hardware store would only do a price match if I had the “paper” flier; they also did not have an email address to which I could send an image of the Canadian Tire webpage for the product using the BlackBerry Share feature. I left the container on the checkout counter and drove over to the local Home Depot but first checked out the Home Depot Canada website where I found it had a 35% discount. I now have Home Screen icons for Canadian Tire and Home Depot. Using BlackBerry 10’s browser is at least as fast as opening an app; once again I have quick access to the content I need and a 35% saving. And these web pages remain open in background if you go to another application or the Hub. Fortunately all three retail store locations were close enough such that I did not spend my saving on gas; they were on the route to my final destination. Bottom line: the combination of a fast web browser, support for HTML5, responsive design (or mobile-enabled websites using other techniques) and cloud computing are all serving to gradually disrupt the need for customized applications in many cases; these features also have the potential to eventually replace proprietary application ecosystems. It’s not going to happen overnight but I’m sure Apple, Google and, definitely BlackBerry, are seeing this trend and will deal with it as it evolves. In the meantime I still need to wait 2-3 weeks to see if my gardener’s suggestion works. Repetitions of the dreary, wet spring weather today will certainly help.